Filled with fine detail and artistry, this floral tapestry "Salient Blooms Beige" shows a golden urn of flowers. The purity of color in this piece is beautiful as we see blooms in a variety of colors, from crimsons to peaches, to whites and blues. 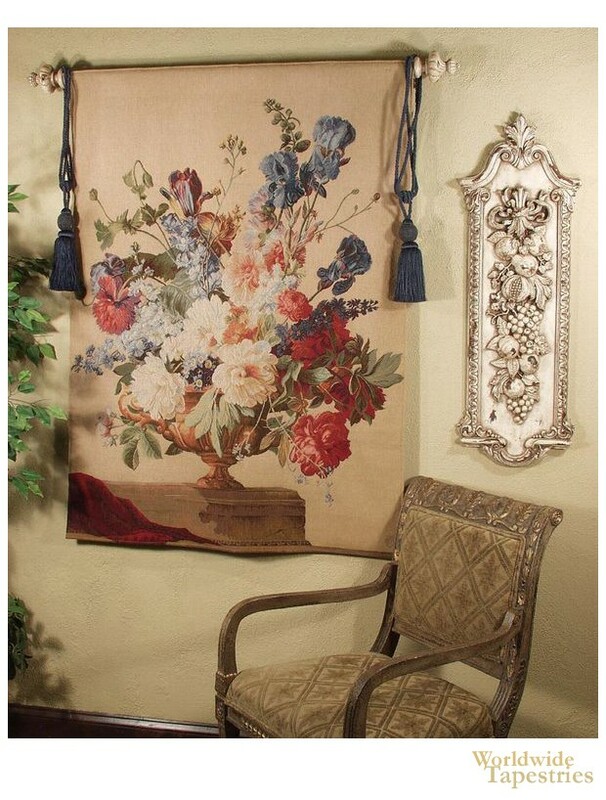 This French tapestry "Salient Blooms Beige" is backed with a lining and has a tunnel for easy hanging. Note: tapestry rod and tassels, where pictured, are not included in the price.